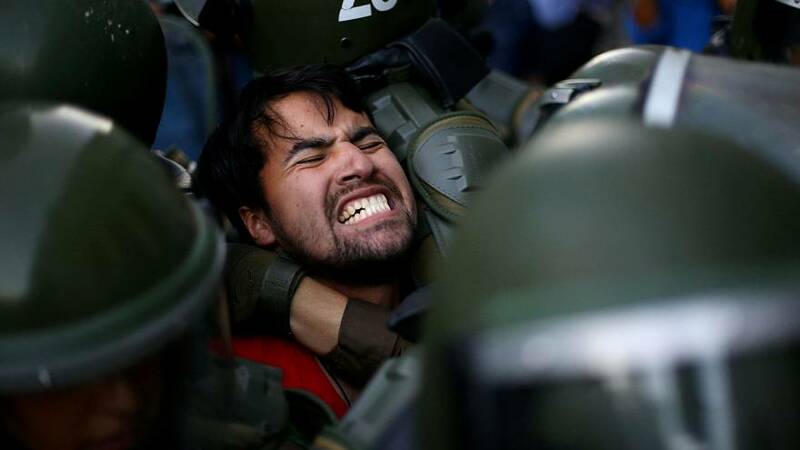 Violent clashes between police and demonstrators took place on the streets of the Chilean capital Santiago on Tuesday. Riot police used water cannons to disperse the protesting students. According to local media reports, 17 students were arrested. The protesters were angry over a constitutional court decision that would have made it illegal for universities to operate for profit. The ruling is a blow to free tuition reforms introduced by the former centre-left president Michelle Bachelet. The judges voted six to four in favour of a group of private universities that had argued the original ruling was unconstitutional. Alfonso Mohor, the President of the University of Chile student federation, said Chile's Education Ministry and the government had worked in compliance with one another. Student protesters also argue that attempts by Bachelet and her successor, conservative billionaire Sebastian Pinera, to improve quality and access to higher education have been insufficient.